Second Century Ventures, the strategic investment arm for The National Association of Realtors® has recently announced the seven organizations selected to participate in the 2015 REeach® class. 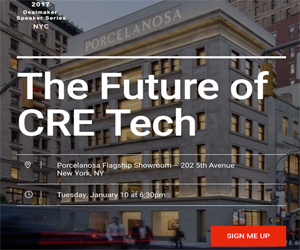 The real estate class serves as a growth technology accelerator program. According to the National Association of Realtors, the Reach program is unique from other types of accelerators in that it provides a focus specifically for real estate and related industries. The seven companies selected to participate in the accelerator include both organizations still in the seed stage as well as startups with significant backing. Overall, the class has raised more than $35 million via financings in the past. With a goal of helping participating organizations in accelerating their initial success through market exposure, mentorship, and education, Reach has experienced tremendous success. Firms selected for the 2015 class include Los Angeles-based Asset Avenue. The peer-to-peer lending platform specializes in the commercial real estate industry and provides brokers and borrowers with fast and reliable access to loans up to $25 million for properties. Also selected to participate in the 2015 class is BoostUp. This Detroit-based organization assists people in saving the funding necessary for a down payment for a home or vehicle by providing a dollar-for-dollar match for their savings. The matching funds come from family, friends, and brand partners. Pro.com, from Seattle, was also selected to participate in the class. This home services marketplace is designed to assist homeowners with pricing out projects while also matching them with certified professionals in their local area. Guard Llama, of Chicago, serves as a mobile personal security system that helps to speed up the 9-1-1 dispatching process. Loop & Tie works to streamline personalized gifting for businesses in order to win more business, promote brands, and establish goodwill between business organizations. NotaryCam, based in Newport Beach, California, offers individuals and companies with the ability to have documents notarized from any location in the world using an established network of notaries. TermScout, from Denver, provides business-to-business sales professionals with an intelligence application. The seven firms chosen to participate in the latest accelerator class offer a diverse range of services and products, but all have the potential to experience rapid growth within the home services, finance, and real estate sectors. Following their participation in REach, each of the selected companies will also have the assistance and backing necessary to potentially expand into other verticals. Each year, hundreds of companies apply to participate in Reach. The companies chosen must be able to demonstrate solid business models along with business plans that are fully executable and the potential to affect real estate positively. NAR reports that past classes participating in REach have managed to double their customer base following their completion of the program. Currently, the National Association of Realtors have a membership base of one million members who are involved in a variety of aspects in both the commercial and residential real estate sectors.